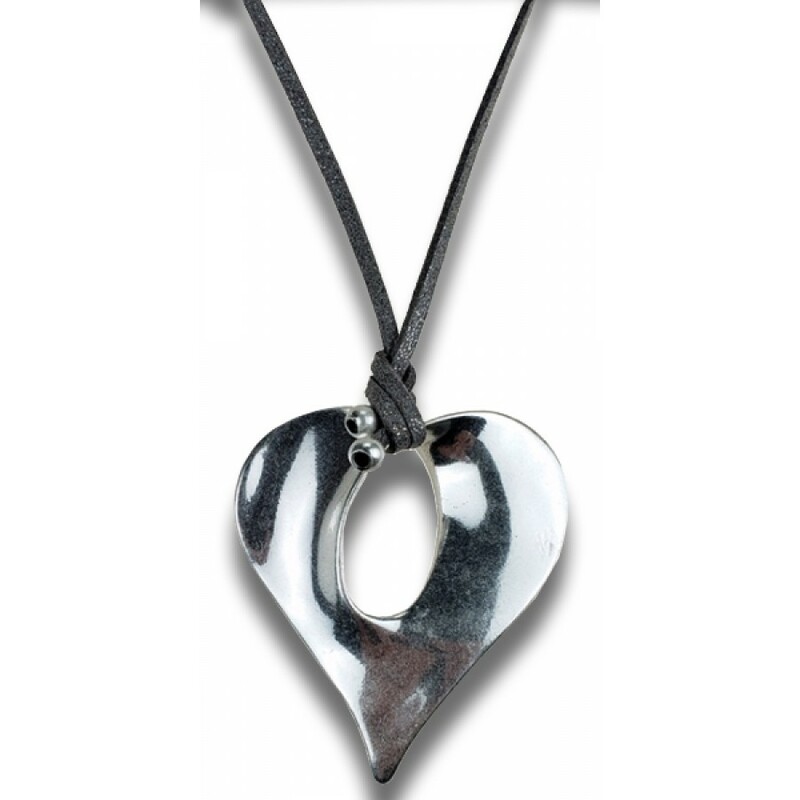 Show your love with this beautiful silver alloy contemporary heart necklace finished with a suede band. 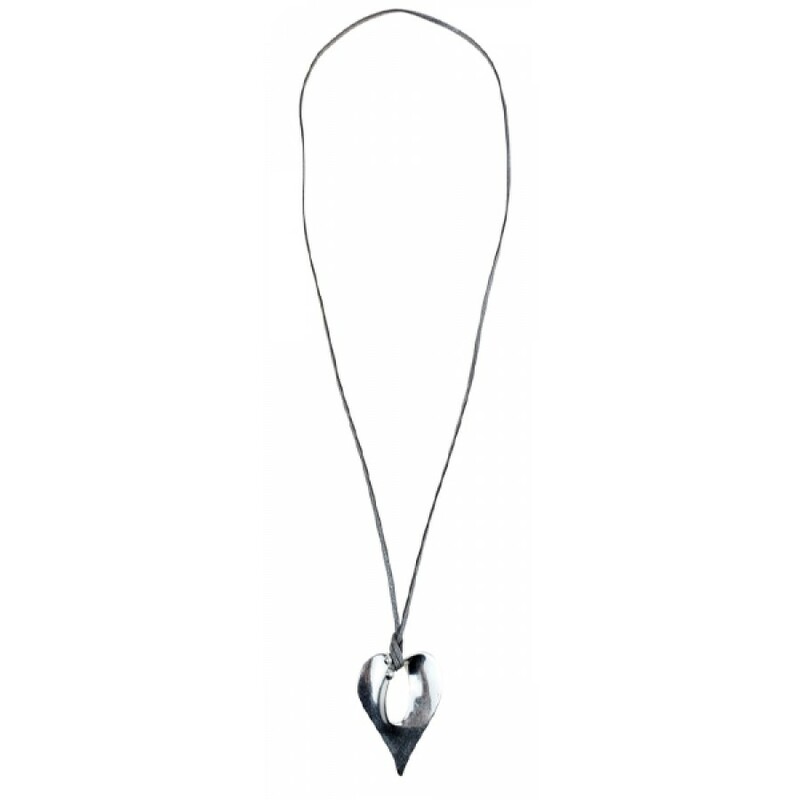 Perfect for casual chic or a night out. 35" long band.